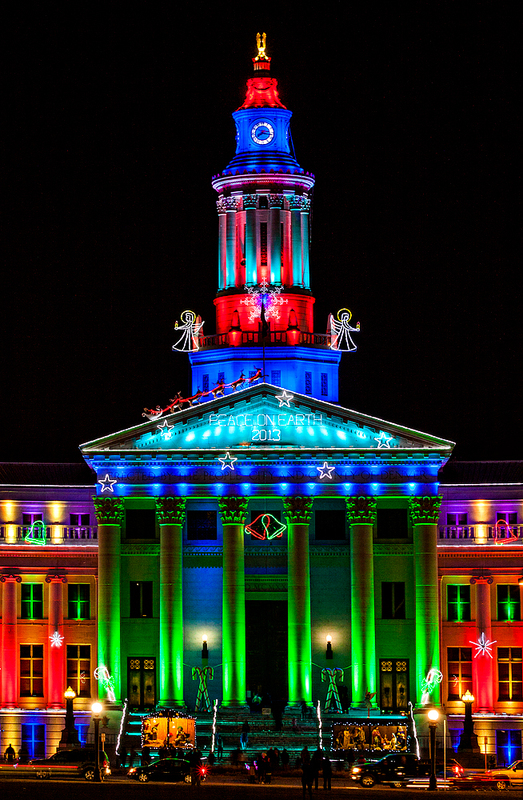 The City and County Building in Denver, Colorado. 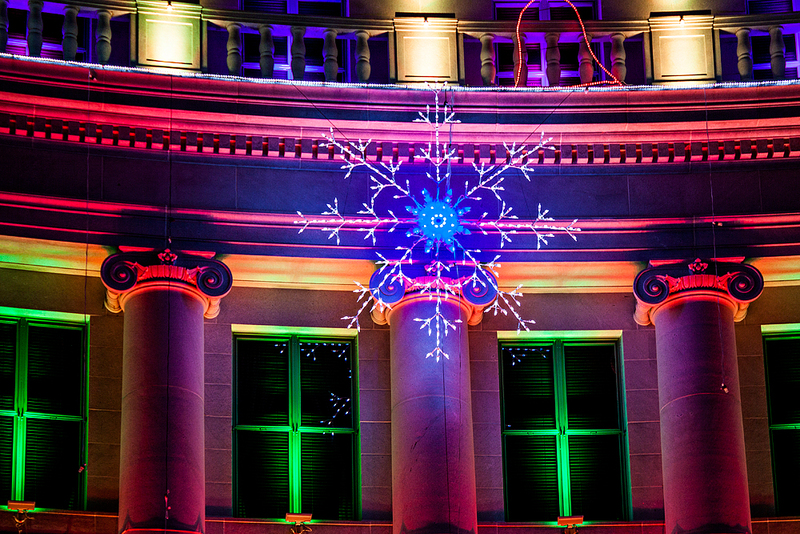 Denver’s old courthouse lit for the Holidays attracts many photographers, both the I-phone snappers and the professional photographers alike. Too many times the building is photographed from the same angles and perspectives.As these following photos show, I have always tried different perspectives with my photos, even with some of the most photographed objects. 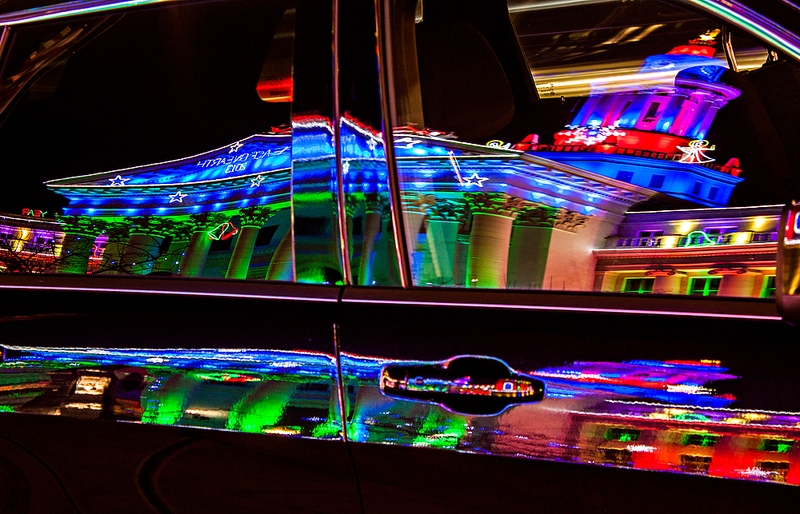 The dark paint job from a new car with tinted windows makes for some amazing reflections of the building lights. Now that is a huge snow flake.